A paralegal career offers a wide range of work opportunities applicable to individual strength, work interest, and personal preference of the individual. There is a visible shift in the way companies approach legal business, a large variety of corporations and business have moved towards in-house legal teams opening up an endless new work environment to paralegals. The approach that most of the industries do is that, they directly hire paralegals in a diversity of settings such as Consulting, technical, marketing firm, healthcare and pharmaceutical companies. 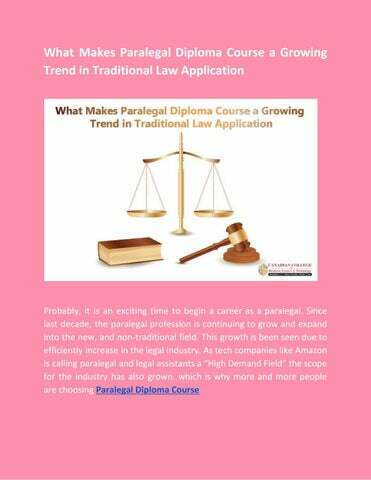 Here are some industries where the paralegal has grown in its application. 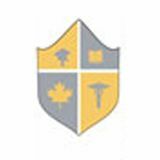 Healthcare : The expertise in the legal field is growing due to recent changes in the healthcare laws, and regulations affecting the healthcare sectors. Technology & E-Discovery: The simple implication of Technology & E-Discovery is to records and document kept in electronic form. It's a new industry, that makes effective use of technology to manage electronic data, ensure the compliance with federal rules. These skills are today high in demand as it lucrative career path and it is forecasted that this demand will continue growing in near future. Biotechnology and Pharmaceutical: The changes in healthcare laws and regulation have made a tremendous increase for people choosing paragel diploma course. There exists a substantial increase in demand for this expertise as the field has better scope for advancement. Freelancing or Contract Work: Paralegals might also work as a freelancer to provide services on a contract basis. This gives you flexibility in working and many opportunities to work with. To be a professional paralegal, you need paralegal diploma course or certificate course degree. Our Paralegal Degree program prepares students to pursue a career as a Paralegal licensed by the Law Society of Upper Canada upon graduation. We at CCBST offer â&#x20AC;&#x2039;Paralegal Diploma course in three of our campuses at Brampton, North York & Scarborough. To join visit our website or contact us now.